Bring a touch of modern into your home with the coleen desk, with its high gloss finished top with 2 drawers. It will serve as the perfect place to hold all of your often used supplies. 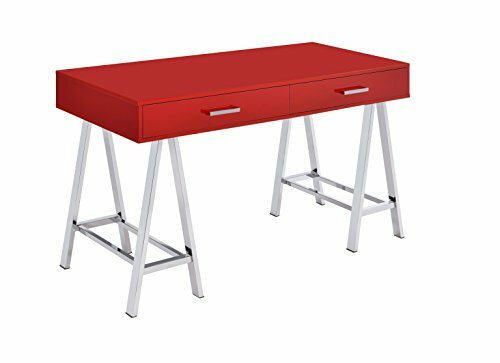 The base is made up of 2 "Sawhorse" designed legs finished in chrome to emphasize this modern task desk. Offered in 3 desk top colors white , Red, and black.